A team from Cornell University is on an epic space quest to send a small satellite around the Moon. And if this doesn’t seem impressive enough, the satellite will be powered by water. 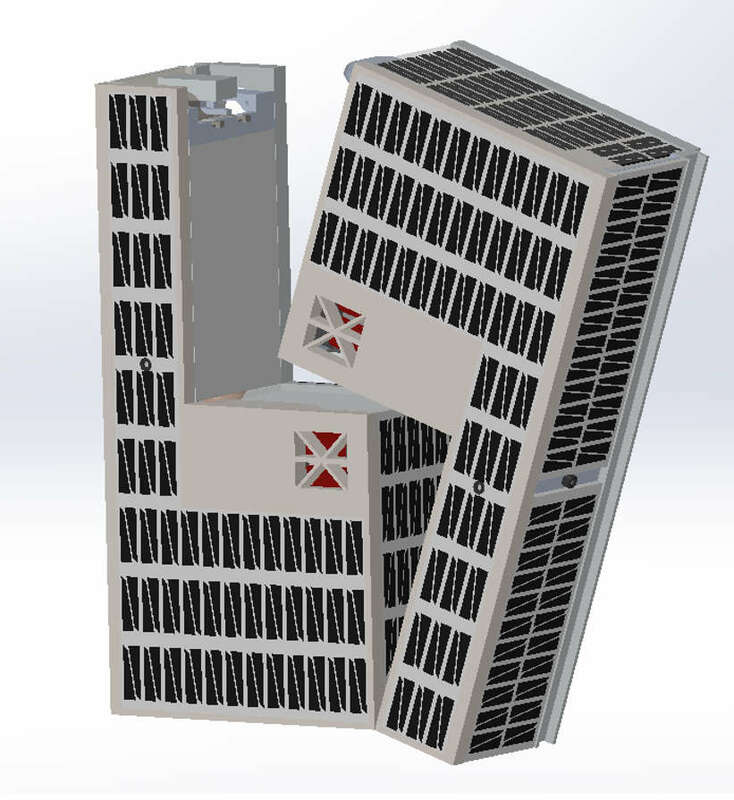 The team, led by former NASA chief technologist Mason Peck, is building a low-cost, cereal-box-sized satellite called a CubeSat that will use its water-based propulsion system to navigate in space. “This has a very important goal, and that is to demonstrate that you can use water as a propellant,” said Peck in a statement. The Cislunar Explorers, as the team is called, are competing in the Cube Quest Challenge, one of NASA's Centennial Challenges. This technological trial will give $5.5 million to any team that can design, build, and deliver small satellites capable of entering orbit around the Moon. Cislunar Explorers is competing to be one of three teams that will get to hitch a ride to the Moon on NASA’s Space Launch System in early 2018. To use water as a fuel, the team developed a new approach to electrolysis, a technique that uses electricity to break apart water molecules. The hydrogen and oxygen extracted are all you need to make rocket fuel. After sweeping past the Moon, it will use this process to generate propulsion and attempt to enter orbit. “A lot of the mass we send into orbit these days is in the form of rockets – the only way we get anything into space,” Peck said. The winner of the next phase of the competition will be announced on October 24.